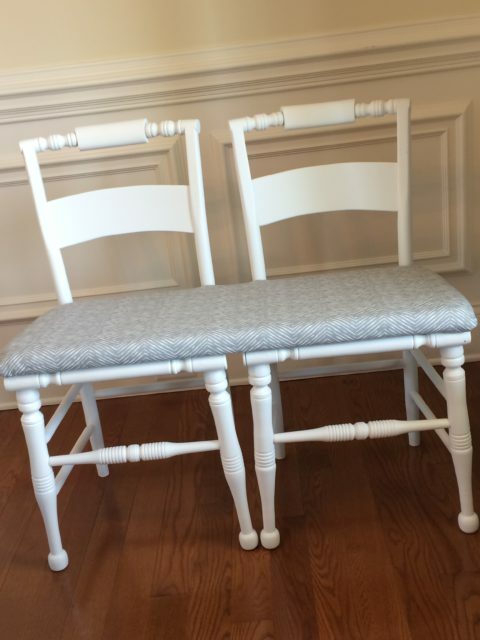 I found these adorable reproduction Hitchcock chairs online when I was searching for chairs suitable for making a small bench. When nestled in next to each other they make the perfect sized bench for an entry foyer, for putting on your shoes in the morning. 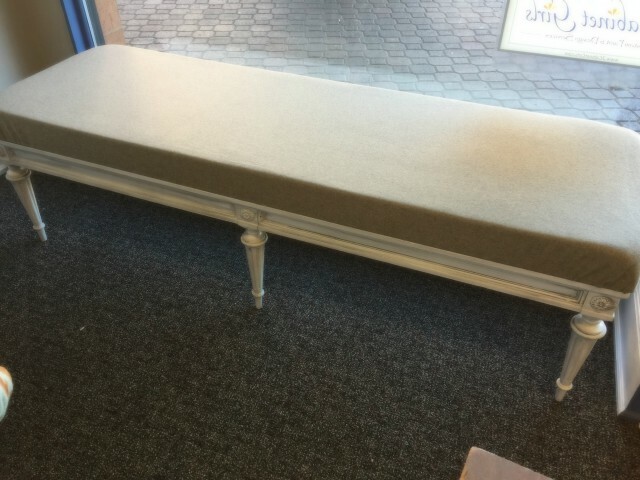 It’s the perfect sized bench for the foyer that’s not too large. This was a major score. A set of 2 captain’s chairs in super heavy rock maple. Overall they’re in great shape. A few scratches and nicks….the downside was really the fabric. The foam beneath the fabric felt hard and crumbly to the touch. And when I finally removed the 2 layers of hideous fabric I discovered that the foam had completely disintegrated and turned to sand. Blech! 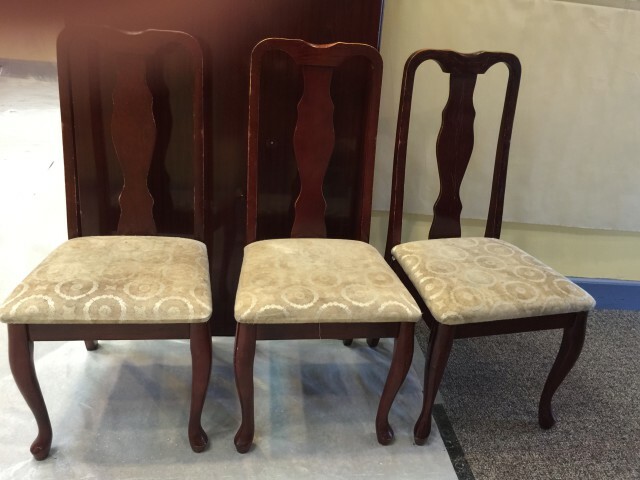 Set of 3 vintage cherry dining chairs with upholstered seats. 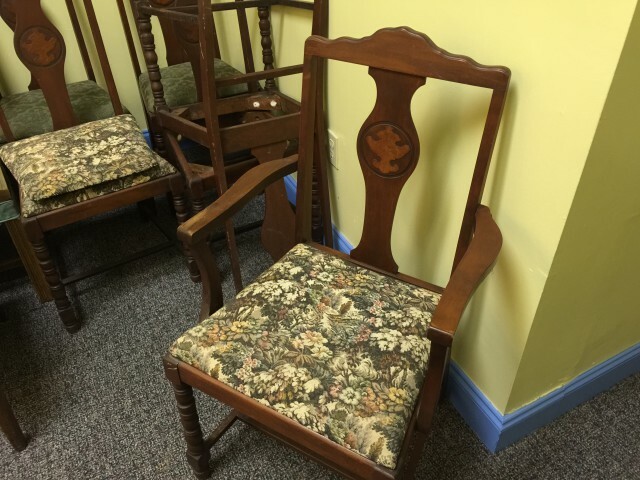 All of these solid wood chairs are in great condition, structurally. 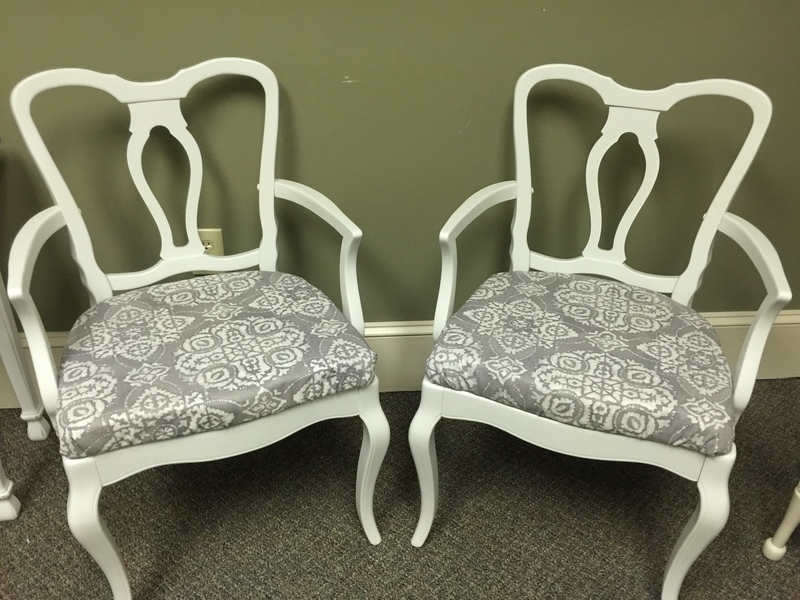 A little paint, some new fabric, and they’ll be good as new! This is a set of 6 antique mahogany chairs with upholstered seats. I’m not going to lie…..these have seen better days. But I’m going to fix these up and breathe some new life back into them and with any luck they’ll be around for another 100+ years! There’s 1 captain’s chair with arms, and 5 chairs without arms. 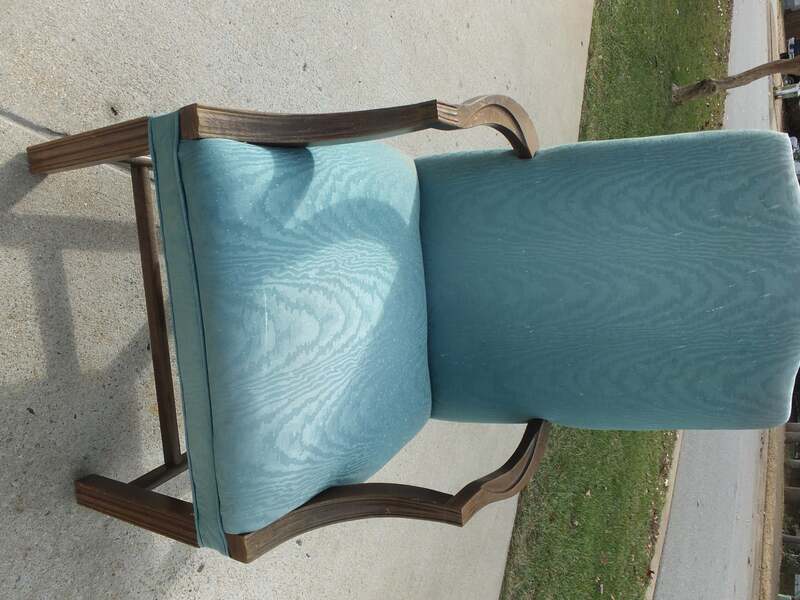 Old school cane backed chairs. 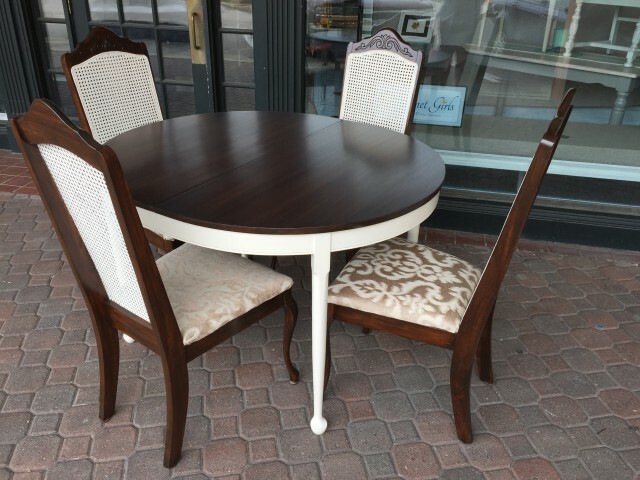 2 side chairs and 2 arm chairs. This retro set goes with the Oval Dining Table. I ended up painting & staining these chairs to match a cherry dining table that a customer of mine brought to me to refinish. 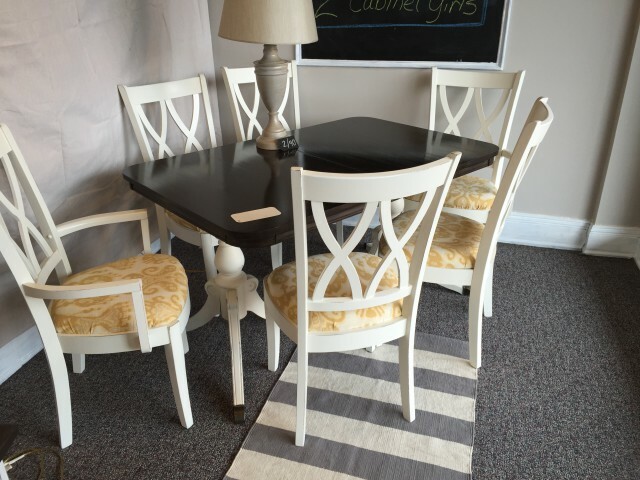 We chose a creamy white paint for the skirt and legs on the table and used the same paint on the caning in the chairs. The remainder of the chairs, as well as the top of the table received a rich, Kona brown stain. The seats were reupholstered in a taupe & cream ikat print. 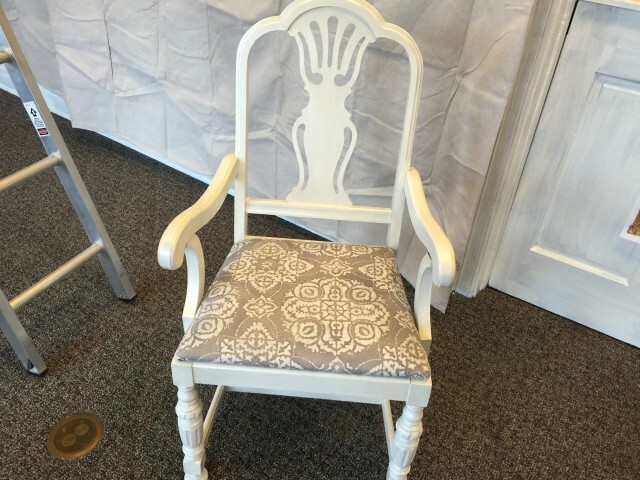 This vintage mahogany captain’s chair was updated with Powdered Snow paint, and a sheer silver metallic glaze. 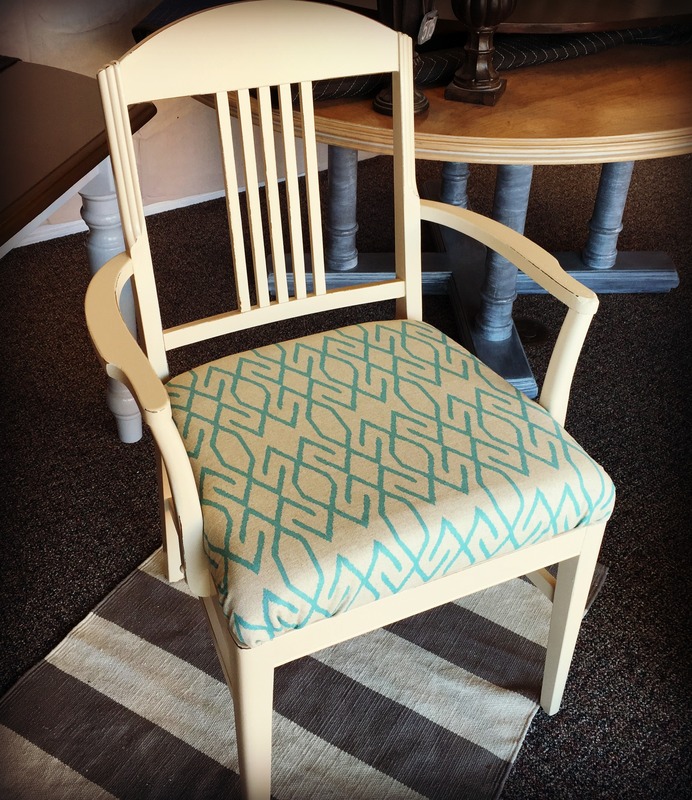 The glaze adds just a hint of gray, to tie it in with the gray and white Braemore fabric. 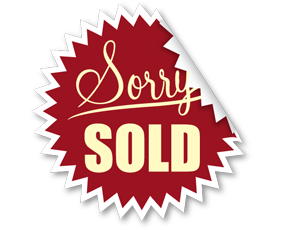 It would be perfect in front of your vanity table, your desk, or even sitting in the corner of your dining room. This set of 6 hardwood chairs includes 2 arm chairs, and 4 side chairs. 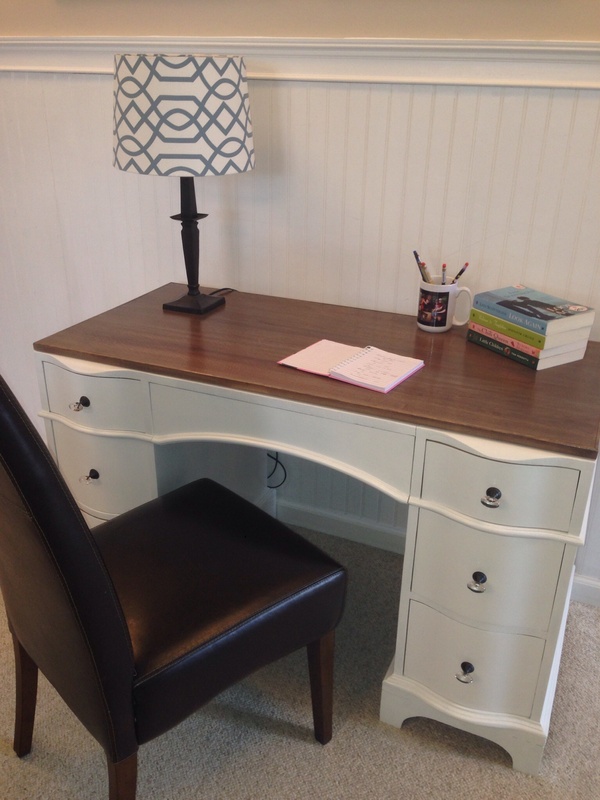 The back is a-maze-ing, and the cream colored paint really helps the nice details shine. The fabric is a cream and golden ikat print. So hot right now! 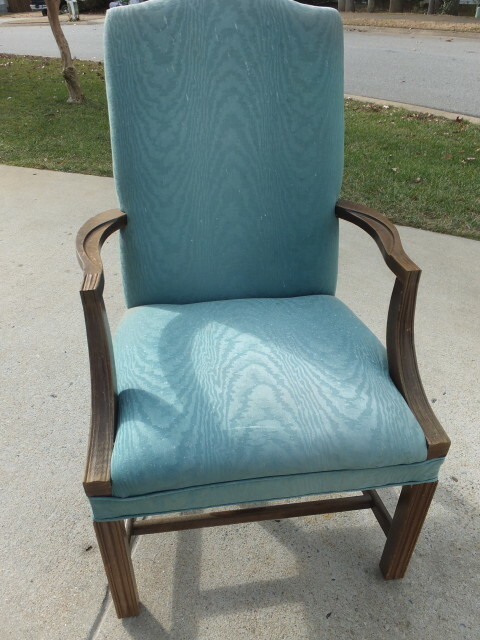 This chair has beautiful details, and all the wood is still in great shape. The only problem with it is the fabric. An easy fix!